Activision Call of Duty: WWII for Microsoft Xbox One 2017. Condition is Like New. Dispatched with Royal Mail 2nd Class Large Letter. Activision Call of Duty: WWII for Microsoft Xbox One 2017. Condition is Like New. Dispatched with Royal Mail 2nd Class Large Letter. This game has only been used once so is in excellent condition. Activision Call of Duty: WWII for Microsoft Xbox One 2017. Condition is Very Good. Dispatched with Royal Mail 2nd Class Large Letter. Call of Duty: WWII Xbox One. Condition is Very Good. Dispatched with Royal Mail 1st Class Large Letter. Experience classic Call of Duty combat, the bonds of camaraderie, and the unforgiving nature of war against a global power throwing the world into tyranny. Activision Call of Duty: WWII for Microsoft Xbox One 2017. In very good used condition. 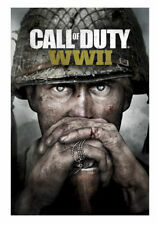 Call of Duty World War 2. Condition is Like New. Dispatched with Royal Mail 1st Class Large Letter. 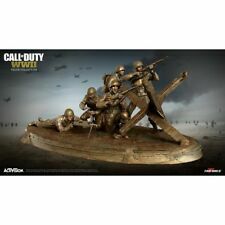 Experience Call of Duty combat, the bonds of camaraderie and the unforgiving nature of war against a global power throwing the world into tyranny. Cod WW2 Legacy Edition Xbox One. We will make every effort to rectify any issues you may have. We will gladly attempt to rectify the situation for you. Cod WW2 Pro Edition Xbox One. We will make every effort to rectify any issues you may have. We will gladly attempt to rectify the situation for you. 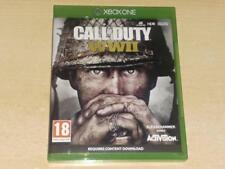 Call Of Duty WWII For Microsoft Xbox One Supplied In Original Case (Free Post) All my items items are hand selected. I will post your item as quickly as possible, and usually, customers receive their orders within 2 working days. If you have any questions please let me know. This has hardly been used and has a deep scratch (see photo). 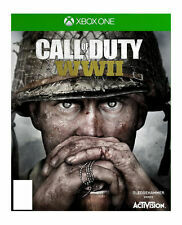 Call of Duty: WWII (2) XBOX ONE Pro Edition Steelbook for Microsoft Xbox One. Call of Duty: WWII Pro Edition Steelbook Case. 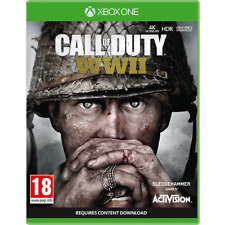 5 out of 5 stars - Call of Duty: WWII (2) XBOX ONE Pro Edition Steelbook for Microsoft Xbox One. 176 product ratings176 product ratings - Call of Duty: WWII (2) XBOX ONE Pro Edition Steelbook for Microsoft Xbox One. 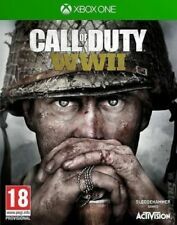 CALL OF DUTY WWII WORLD WAR 2 - XBOX ONE - NEW SEALED - SAME DAY DISPATCH. Condition is New. Dispatched with Royal Mail 1st Class Large Letter. Call of duty WW2 Xbox one game, only played a handful of times. With XBOX Certificate of Authenticity Seal! Call of Duty: WWII creates the definitive World War II next generation experience. Call of Duty®: WWII Multiplayer engages players in grounded, fast-paced combat across. Call of Duty: WWII Multiplayer engages players in grounded, fast-paced combat across many of World War II’s most iconic locations. Players will also enjoy exciting ways to interact and socialise with their friends and the Call of Duty community. 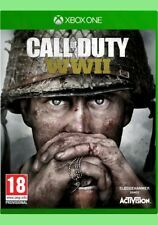 Xbox One Game - CALL OF DUTY WWII - WORLD WAR 2 WW2 COD. Call of Duty: WWII (Microsoft Xbox One, 2017). Condition is Very Good. Dispatched with Royal Mail 1st Class Large Letter. Experience iconic Call of Duty combat, the bonds of camaraderie, and the brutality of war against a global power throwing the world into tyranny. Activision Call of Duty: WWII for Microsoft Xbox One 2017. Condition is Acceptable.marks but works fine. Dispatched with Royal Mail 2nd Class Large Letter. Call of Duty: WWII for Xbox One. Condition is Like New. Dispatched with Royal Mail 2nd Class Large Letter. CALL OF DUTY WWII XBOX ONE BRAND NEW FAST DELIVERY!